In case you didn’t hear — there was a little celebration in the UK last weekend that just so happened to have an estimated guest list of 2B+ watching from all over the world. With all of the hype and anticipation surrounding The Royal Wedding, it’s no surprise that countless brands around the world took the opportunity to work it into their marketing and engagement strategies. If you’re a retail brand then chances are your audience has a wide range of varied interests. 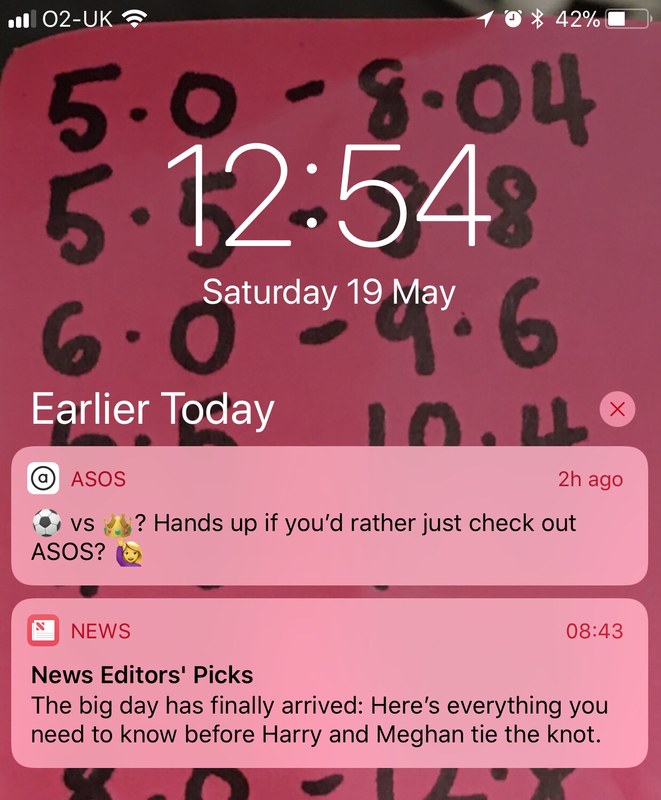 ASOS did a great job being inclusive by calling out the FA Cup Final, as well as those users who didn’t care about either. Finding a way to relate to users and tug at emotions is also a good way to cut through the noise. 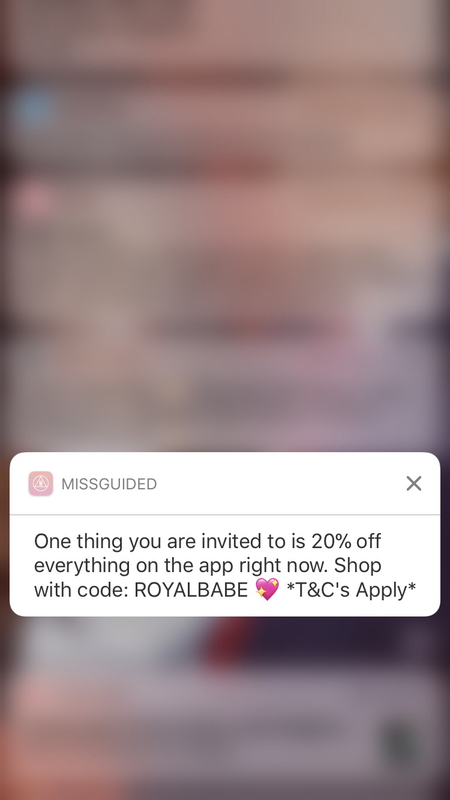 MissGuided capitalized on their audience’s potential FOMO by offering a 20% discount code as a consolation to everyone wishing they’d received an invite to the main event. And even if you weren't envying the guests, who doesn’t like a discount? 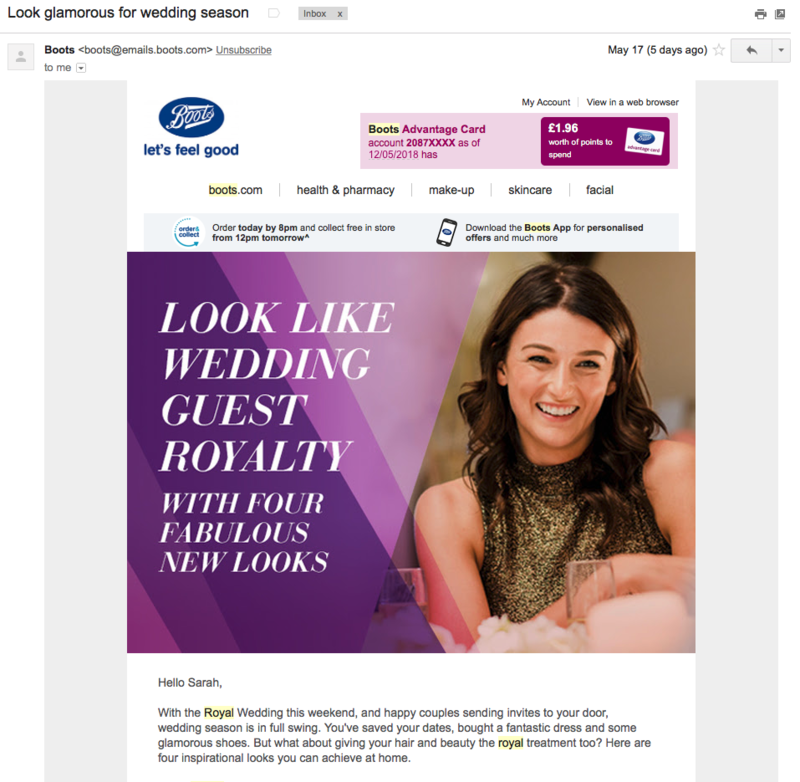 Boots invited customers to think ahead to weddings they were invited to, reminding them to think about the beauty supplies they might need to stock up on now. Thousands of people lined the procession path in Windsor to see Harry and Meghan ride by via horse drawn carriage and many more watched on big screens outdoors. 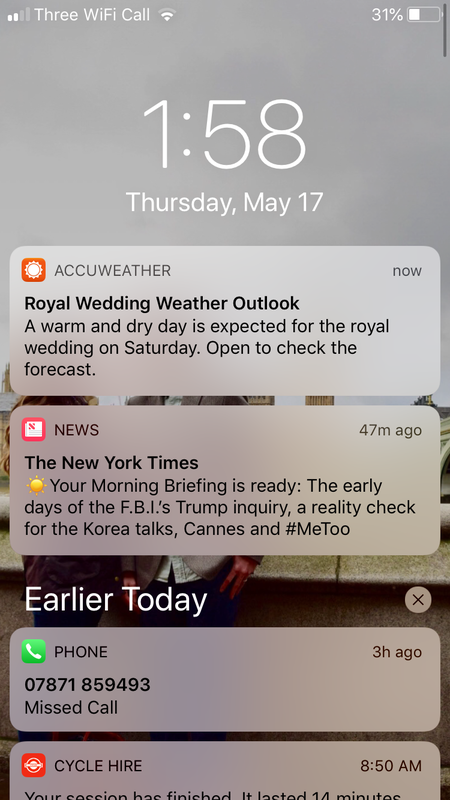 So Accuweather’s handy location targeted notification provided value by delivering the wedding day weather report in advance and ensuring Brits didn’t need to pack their umbrellas. Location-based mobile marketing is a great way to reach a targeted group of app users who are currently at a specified location or have previously visited somewhere. See how the eHarmony app and SXSW have both leveraged location targeted push notifications in their own ways. 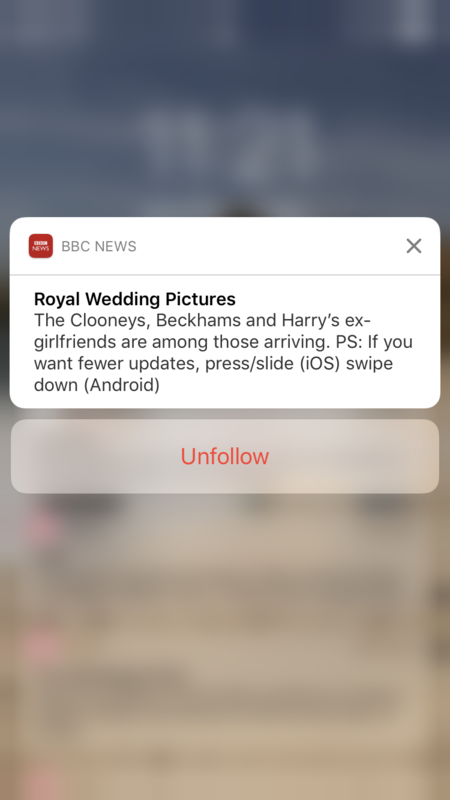 Nearly all major news outlets covered the Royal Wedding by sending notifications, but the buzz also left more than a few people questioning whether it was all a bit too much. To prevent user annoyance, brands can use data analytics to measure engagement and better inform their messaging strategy. Every story they read, notification they click, or button they tap provides insight into a user’s interests and affinities. If someone has read 2 or more articles about the Royal Family, chances are high they’ll appreciate or at least won’t mind hearing more. The BBC stood out amongst the crowd by putting the power into their user’s hands. Their unique approach leveraged interactive rich notifications to invite users to opt in or out of further news. Even if a user said “Yes” they were given the option after every notification to “unfollow” the news altogether should their interest decline. This strategy prevented annoyance while giving those interested in more exactly what they wanted to hear. 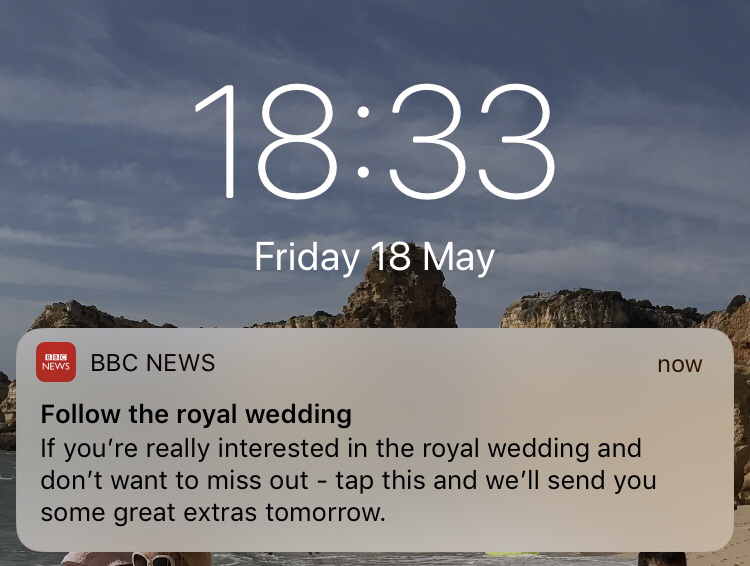 Whether it’s a royal wedding, major sporting event or even an election, taking a data-driven, well thought out approach is the only way to ensure that your sending content your users truly want to receive. These strategies can be applied to brands across all verticals for various types of events. Want to discuss an upcoming project you have? Get in touch with us today. Or, if you’re looking to better your messaging strategy, check out our Mobile Content Plan template.